I came home from work last Thursday, made dinner, ate in front of the TV, and took an unscheduled three hour nap on the couch. (Livin' the dream.) Let me tell you, couch naps at 30 aren't what I thought they'd be, because I destroyed my neck. When I woke up I discovered that I could only turn my head, slightly, to the left. I've been taking pain medicine, propping myself with pillows at night, and using heat to loosen my muscles. It's getting better, but it's still not great. I actually hurt myself more when I sneezed earlier...When did I turn into a glass-banana? I should be reviewing milk or something to try and boost my calcium to fix my brittle little bird-bones, but I'm going to have this sparkling cider instead. Compared to Aldi's typical soda offerings, this is quite fancy. We have a cardboard carrying case, glass bottles, and real caps. (Not Twist Offs.) This kind of packaging is usually reserved for artisanal sodas or boozy beverages. 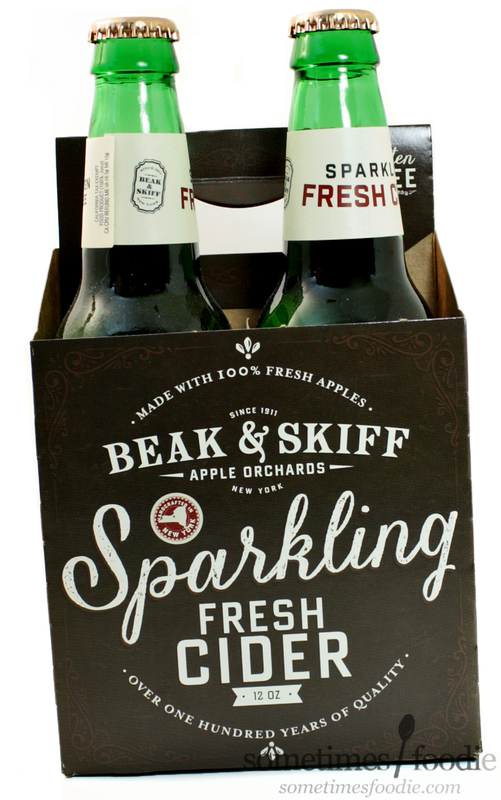 In fact, the text choices and circular layout on the cardboard carrying case would look right at home with the other hard sodas and ciders at the liquor store. 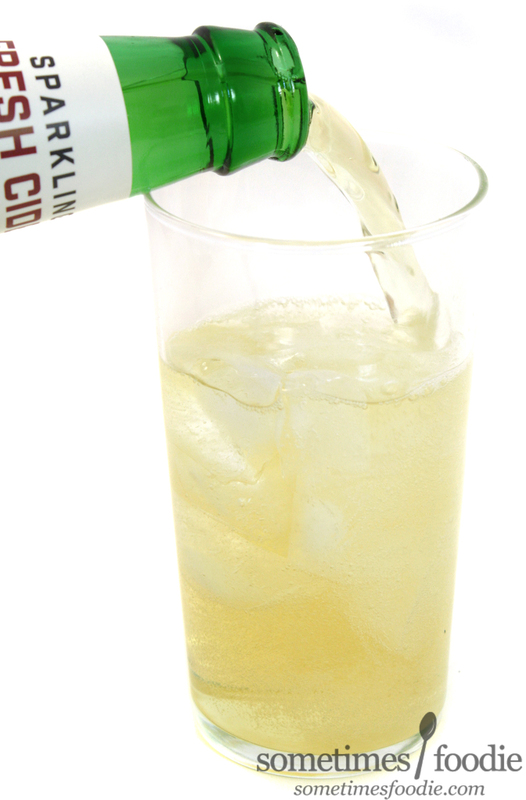 Once opened, the soda inside has a light champagne-yellow coloring, and it smells sweet and crisp. The aroma reminds me of Fuji apples, which are my favorite type of apple (thanks to my time as a trainer at Panera Bread), but I'm not apple-expert. I'm not entirely sure what apples are used to make this. I looked over the labeling and couldn't find an answer, but I did see that it's a (fairly) local product. 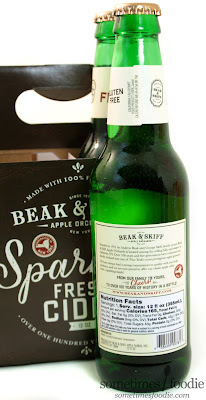 This stuff was produced by Beak & Skiff from Lafayette, NY! That's pretty neat. I took a sip, and it's not the most exciting product in the world, it's a light and refreshing carbonated apple juice, but even though it's not something limited edition or trying to taste like something else, it's really enjoyable. The apple flavoring is sweet and light, like a skin-less peeled apple, I'd say it tastes more like a red delicious, but the carbonation and added acidity keeps me on my toes. It's actually really similar to ginger ale, but with apple juice. I really liked this, and have already drank 2 bottles. My family, shockingly, didn't care for it. I bought it thinking this would be a hit with them, because they love apples, apple juice, and apple pie, but their reaction wasn't what I expected. 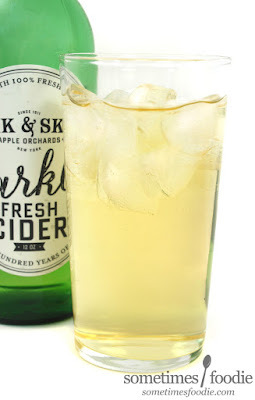 Due to the lightness and rather bold carbonation, my boyfriend's daughter thought it was a hard cider (but it isn't) and my boyfriend wasn't a fan either. 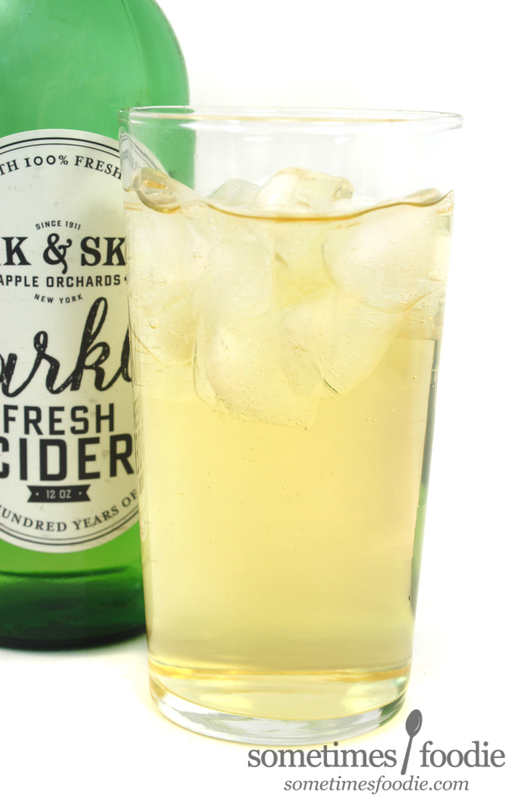 Admittedly, this product has a lot of competition, there are tons of sparkling apple ciders and juices out there, and while this is enjoyable, it doesn't offer anything I couldn't find elsewhere. I might buy this again to celebrate holidays with kids or something, but it's not something I'll go out of my way to find.